GL events (ISIN: FR0000066672 - Ticker: GLO), the integrated event industry group, reports its consolidated annual revenue for the period ending 31 December 2018 and the finalisation of the ZZX acquisition in China. GL events reported consolidated annual revenue of €1.041 billion for 2018, up 9% (9% LFL*) with an adverse exchange rate effect of €34 million offset by contributions from new acquisitions. International markets accounted for 50% of annual revenue. Olivier Ginon, GL events' Chairman commented: "In 2018, GL events marked the Group's 40th anniversary and 20th year as a publicly traded company by exceeding the €1 billion revenue milestone. With this year's excellent commercial performance reflecting the efforts of all our teams, I wish to thank them for their engagement. Reinforced by the capital increase completed in October of last year, this double anniversary was accompanied by major growth projects in Asia and particularly in China." *LFL: Like-for-like defined as at constant structure and exchange rates (2018 exchange rates applied to 2017 revenue). GL events Live had revenue of €563.5 million, up 19.4% (+17.2% LFL). In the 2018 fourth quarter, GL events Live provided world-class services in both France and international markets. 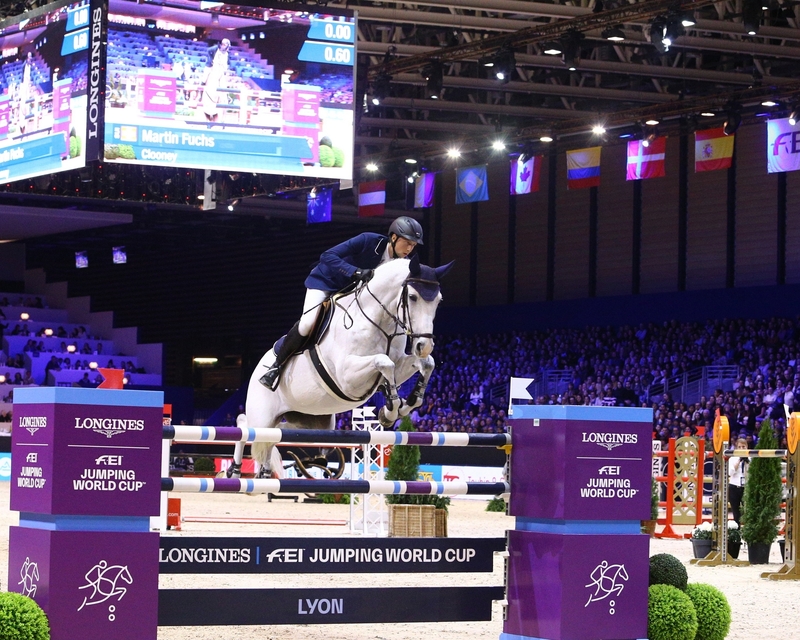 In particular, the division contributed to Equita Longines Lyon (170,000 attendees), the Mondial Motor Show, Euronaval, EquipHôtel ; but also the Sommet de l’Élevage livestock show in Clermont Ferrand and MIPCOM, the world’s entertainment content market in Cannes. In international markets, GL events Live participated in the Formula-E Championship race in Saudi Arabia and the COP24 in Poland. GL events Exhibitions had revenue of €156.0 million. The biennial effect from the absence of Sirha and the Biennial Rio de Janeiro International Book Fair was largely offset by the success of the first edition of Global Industrie in Paris in March 2018. Trade shows in the fourth quarter included notably Kidexpo, Enova and Denim by Première Vision in Paris, Amenago in Lille, Exponaval in Valparaiso (Chile) which delivered good performances. Piscine Global Europe strengthened its leadership in its market with growth in the number of exhibitors, attendees and international presence. GL events Exhibitions is fully focused on staging Sirha (to reach a record size with a 10% increase in space) and Global Industrie which are to be held in Lyon in January and March 2019. GL events Venues had revenue of €321.0 million, up 4.8% LFL* (+1.3% on a reported basis), with continuing gains from destinations like Budapest, Barcelona and Paris. In the fourth quarter, Group venues hosted namely the Pollutec exhibitions and events in Lyon, the Gartner symposium/ITxpo 2018 and ISPOR Europe 2018 in Barcelona and the São Paulo International Motor Show. GL events Venues strengthened its network in the period by adding sites in Reims, Saint-Etienne, Caen and Dubai and renewing concessions for the Scarabée multi-purpose hall of Roanne (for 10 years) and the Lyon Convention Centre (for 20 years). GL events has continued to work on finalising the acquisitions in China previously announced. The process of acquiring 51% of ZZX's capital was able to be completed and has been approved by the Ministry of Commerce of the People's Republic of China (MOFCOM). As a reminder, ZZX provides event engineering and logistics and general contracting services for exhibition organisers, and is a manufacturer and seller of stands for exhibitors. ZZX also provides technical services for event venue owners or managers and event management services. This company is continuing to develop with revenue of €19 million expected for 2019 with an operating margin of more than 20%. Synergies will be developed with the teams of GL events Exhibitions and GL events Live to strengthen this company's presence in the PCO/PEO market and develop new products and know-how. The process of acquiring the two exhibition company targets representing €50 million in combined sales is moving forward according to schedule. At this stage, the commercial, financial and legal due diligence has confirmed the operating potential of these companies. GL events confirms its guidance for an improvement in net income attributable to shareholders. The audit procedures are currently being performed by the Statutory Auditors. Net debt at the end of 2018, which benefited from the success of the capital increase, was impacted by acquisitions in the period (FISA and Even Pro…) and capital expenditures (excluding external growth) amounting to €70 million.